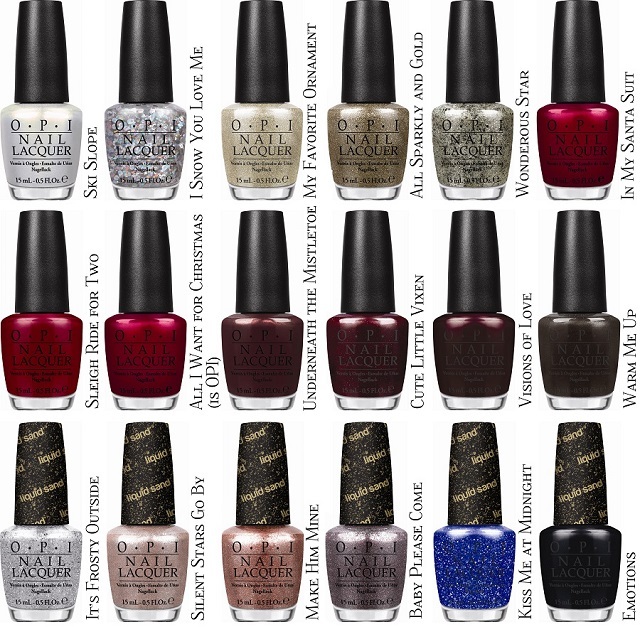 OPI announces the launch of 18 new limited edition holiday nail lacquers inspired by recording artist and international superstar Mariah Carey. This seasonal promotion includes an assortment of red, burgundy, maroon and chocolate brown hues, along with glitter-packed gold, bronze and pearl shades. Mariah Carey Holiday also features six new Liquid Sand™ lacquers, ranging from icy blue to frosted pink to sparkling graphite. Each of the Liquid Sandshades showcases OPI’s groundbreaking technology for a textured, matte finish infused with reflective sparkle. “Mariah Carey is truly synonomous with the holiday season,” says Suzi Weiss-Fischmann, OPI Executive VP & Artistic Director. “People around the world listen to her festive, iconic songs – ‘All I Want for Christmas is You’ is a personal favorite – and these 18 lacquers evoke the warmth, beauty, energy and positive spirit that’s present inMariah’s music.